Survived 34 Months with her Cancer! 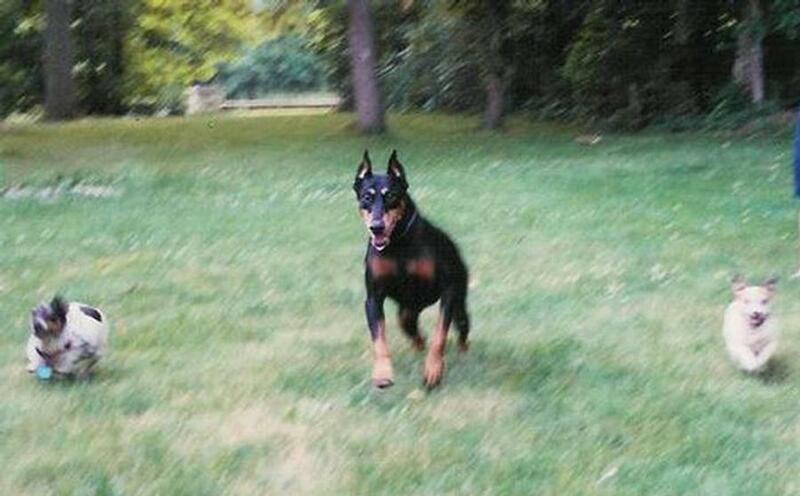 RCi lived a quality of life with APA Antioxidant Booster - an all-natural supplemental product! 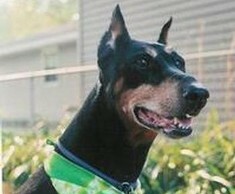 We would like to share with you our story of canine cancer with RCi (prounounced R-C), our beloved Doberman Pinscher. She was an angel of patience, in helping us develop APA Antioxidant Booster, which assisted her immune system in fighting her cancer. 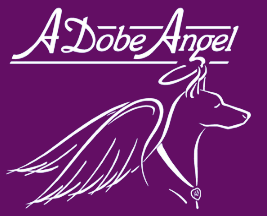 Our company name "A'Dobe Angel" was conceived to honor RCi's devoted love for us. And our main desire through this website, is to give pet owners facing cancer with their fur kid(s), hope and inspiration on quality of life with cancer and be an advocate to other pet parents to be proactive with their loved ones health. As many of you know, cancer diagnosis of your "fur kid" is devastating. Even more emotionally traumatizing is not having the ability to communicate this to your loved one that he/she has this deadly disease and you're at a loss on what to do. 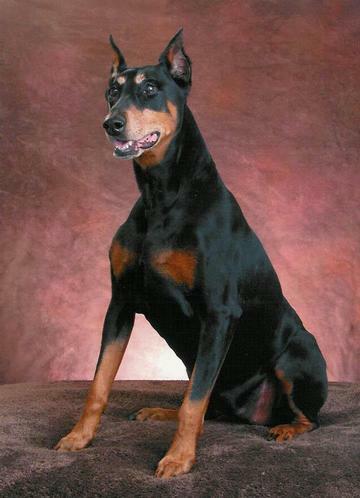 January 2003, our beloved six-year-old female Doberman, RCi, was diagnosed with Fibrosarcoma (cancer of connective tissue). 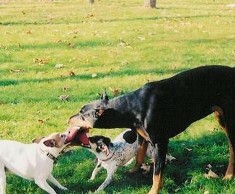 This was confirmed via a biopsy report from a university veterinary pathology lab. Before the biopsy, RCi's tumor was the size of a marble. During the biopsy procedure a core sample of the tumor was taken, which aggravated the tumor. Within days the marble-sized tumor grew to a fist size (approx. 8-9 cm) protruding from her upper left ribcage. Our veterinarian, a compassionate professional, explained the seriousness of RCi's condition and how aggressive this cancer tends to be. She answered all questions, including the ominous one: "How long does she have to live?" Our vet wanted us to know our options and had us seek consultation at a university veterinary oncology clinic. RCi would undergo examination by a specialist and team of veterinary students to determine a course of treatment. The oncology vet and his team presented us with their recommendations: radical surgery to remove the tumor, plus takefour ribs (the tumor covered that large of an area), and do reconstructive surgery of her ribcage. Additionally, RCi would have weekly radiation treatments for eight weeks at another university about 120 miles away. If we went this route, RCi would have an 80% chance at potentially 12 months of life, which included the months she would be in pain and recovery from the surgery. 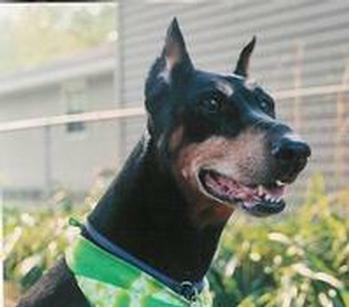 The other choice was to do nothing and sadly concede in euthanizing her in three to four months, due to deterioration from the aggressiveness of her type of cancer. We decided that tumor removal and radiation treatments were NOT an option, simply because it was too radical. Cracking a rib is painful, so can you imagine the pain associated with removing four of them and having reconstructive surgery of the ribcage? RCi would have to endure a great deal of physical - emotional trauma, and her quality of life would be significantly compromised. Plus the worst part is -- how do you explain to your loved one, that you are putting her through this distressing ordeal, when she trusts you? We personally are users of supplements for health benefits so why not try a regimen of supplements on RCi for her cancer situation? We originally consulted with supplemental experts, Patti and Ed Bishop (who were franchisee owners of a GNC General Nutrition Center in West Lafayette, IN) due to our Mother/ Mother-in-law's diagnosis in September 2002 with Ovarian Cancer (stage III-IV). Patti is a survivor of bladder cancer, and she told us what she did to boost her immune system to help fight her cancer after tumor removal and before treatments. We researched via the Internet and found various independent studies and supporting articles on each of the supplements recommended by Patti and Ed. Each supplement was well documented for its cancer-fighting and immune boosting properties. In addition, found other recommended items to add to RCi's daily diet. We changed her food to one that was holistic and made of whole grains and meat by-products with no artificial fillers and especially no EQ preservatives (ethoxyquin). In addition, we kept a journal on her progress, so we could chart her results. This became an essential tool that guided us in what worked and what didn't. In the 34 months from her cancer diagnosis date of January 2003, our decision to go a supplemental route for RCi was an amazing journey of quality of life. Her tumor, which was a fist-sized mass protruding from her ribcage, was suddenly reduced in size. And best of all, RCi's health never declined and she proved it by continuing to be robust as ever in her daily activities. RCi's favorite thing to do was to run around and play with a flattened football with our two Rat Terriers, Reeci and Riki. In addition, she went for two-mile walks, four to six days a week. 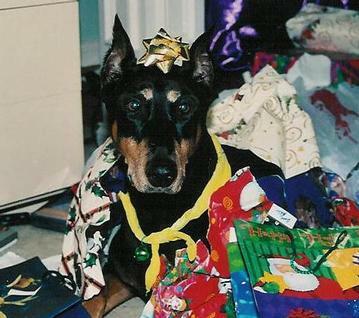 She was alert and was very much our loving, protecting guardian. Does this sound like a dog with a fatal canine cancer who lived years without tumor removal, radiation or chemo treatments? To increase the odds of survival, you should consider all options available. It has been clinically proven that a combination of both medical treatments (surgery, chemo, radiation) AND alternative treatments (supplements, herbs and cancer specific diets) can increase the survival and quality of life with cancer. Alert, Active, & a Pinnacle of Health! We are not advocating to forego medical treatment(s), this was simply OUR choice. However, this lead us to develop RCi's special supplemental mix. This mix is called APA Antioxidant Booster. Our main goal was to create some thing that is economical and is an easy to follow regime for pet owners. We encourage you to make your own choices and consider trying RCi's APA Antioxidant Booster as a supplement in your pet's daily nutrition. It can potentially increase your pet's quality of life by strengthening the immune system for not only cancer, but other situations too, plus can increase your pet's energy level. Even healthy dogs can use this as a supplemental in their diet too! All we know is that each and every day was a celebration as we look into RCi's eyes and saw life dancing about! 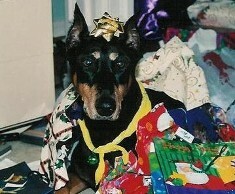 She was Alert, a Pinnacle of health & Active! 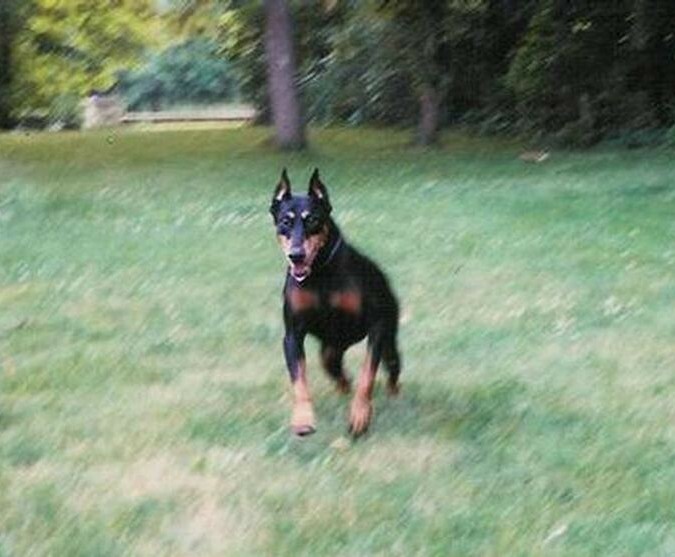 During these years on our journey with RCi, we have shared our success and consulted our veterinarian, oncologist and with numerous other pet owners, as well as people with cancer. We simply told them about the regimen we implemented for RCi and encouraged them to try it. The results have been all positive. What is the regimen to follow? And what is in this special supplemental mix of RCi's APA Antioxidant Booster? It is very simple! Read about APA Antioxidant Booster!